When I started researching New Zealand women who worked in the war effort overseas during the First World War, I realised much of the material I needed was in a cupboard in someone’s spare room – or in a box under the bed. While the soldiers of the New Zealand Expeditionary Force and the nurses of the New Zealand Army Nursing Service all had numbers – and files at Archives New Zealand – women who paid their own fares and often worked with the British, the French and the Serbs were more or less untraceable. Enter Kate de Courcy who contacted me when she saw a little plea for information under an article I wrote for North & South magazine on the World War 1 Oral History Archive interviews I did with Nicholas Boyack in the 1980s – when our veteran interviewees were between 86 and 99 years old. Kate sent me transcriptions of letters from her grandmother, Dr Grace Russell from Auckland which are in her family’s possession. 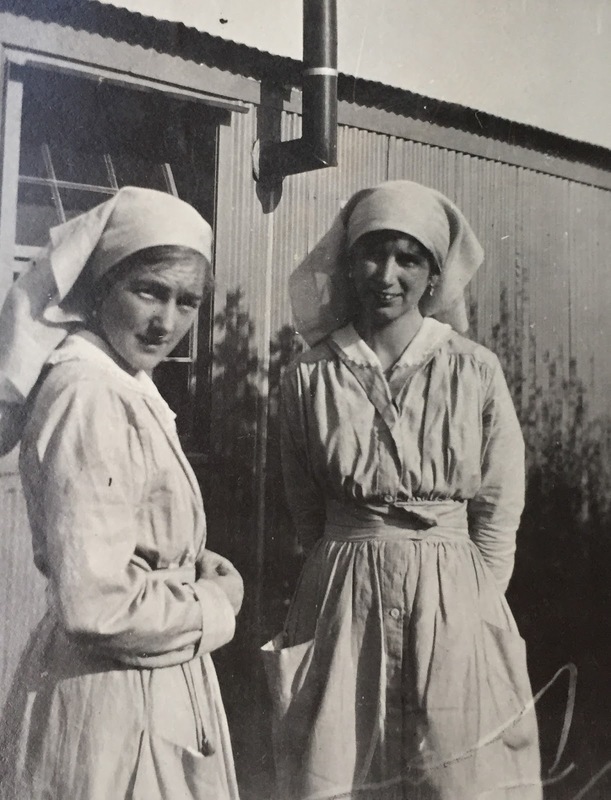 Grace had been a port doctor at Port Said, largely dealing with quarantine matters, but when war broke out she had just been put in charge of the training of maternity nurses in Egypt. 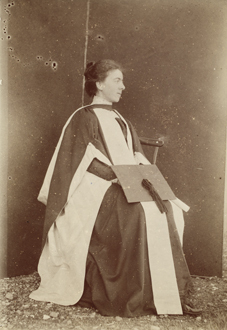 Portrait of Grace Russell, later Grace de Courcy, the second New Zealand woman to qualify as a doctor, in graduation gown, photographed in Brussels in 1898. Sir George Grey Special Collections, 1050-2. After the Gallipoli landings, thousands of wounded soldiers were taken to Egypt. 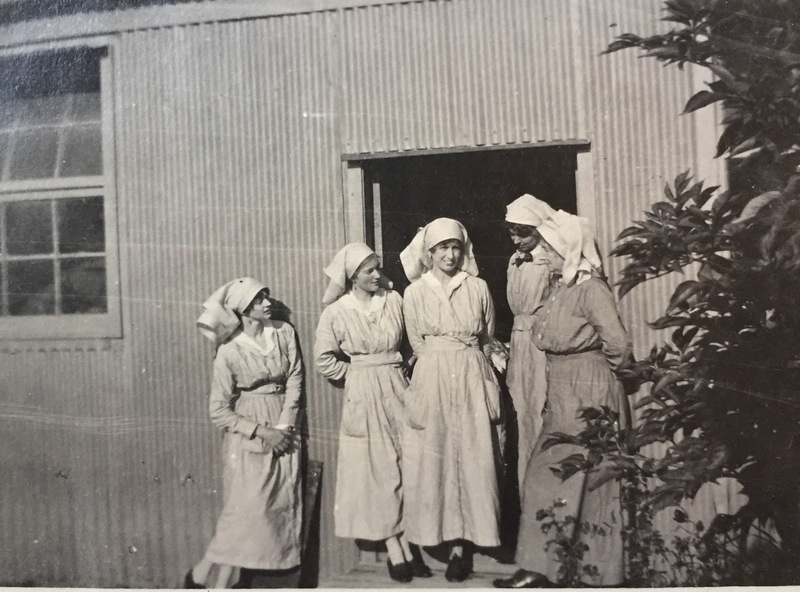 Grace’s nurses and premises were commandeered as buildings were turned into hospitals and every available woman was working in them. Grace asked the military authorities for a role, and wrote to family members saying they were not giving her one because she was a woman. But the crisis was so huge that when she went to see the head of the British military medical operation, he sent her to the Egyptian Army Hospital, which had been lent to New Zealanders but was still run by Royal Army Medical Corps doctors. She was given the infectious diseases ward – and was thrilled to be joined there by Dr Agnes Bennett, whom she had met in Wellington. Agnes is written up in British and Australian books as the first woman doctor in any British army unit, though she was not actually commissioned. Grace was there first – but she was a civilian being paid by the Egyptian government, and was soon reassigned. Kate works in Sir George Grey Special Collections at Auckland Libraries and also alerted me to photographs that arrived there as a result of David Hastings’ research for The Many Deaths of Mary Dobie. (Auckland University Press, 2015). 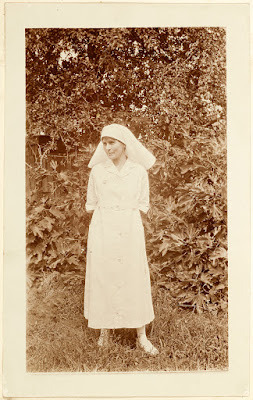 Three of Mary Dobie’s nieces were volunteer nurses during the war. Beatrix, an artist, and Agatha, a music student, were on their OE in England in 1914. In August, when war broke out, they were in the Bay of Biscay. They stayed on for nine weeks, and the pair made a dozen shirts in two days – because the French wanted 2000 shirts for their soldiers and German prisoners. Agatha Mary Dobie, 1915. Sir George Grey Special Collections, 1342-Album-244-100-1. Beatrix, Agatha and Ellen all became British Red Cross VADs – volunteer nurse aides who did an increasing amount of actual nursing work as the war progressed because of a shortage of trained nurses. Ellen was in New Zealand when war began and saved hard from her job with a shipping company to be able to join her sisters. 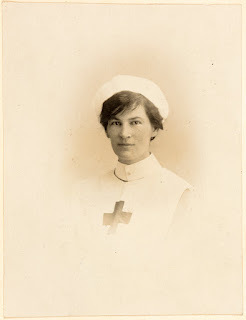 Ellen Locker Dobie in nurse's uniform. Sir George Grey Special Collections, 1342-Album-244-136-3. In August 1915, Beatrix sailed with two New Zealand friends and about 200 British VADs to Malta where she helped nurse sick and wounded soldiers from the Gallipoli campaign, including New Zealanders. In 1916, Beatrix worked at a canteen near the No. 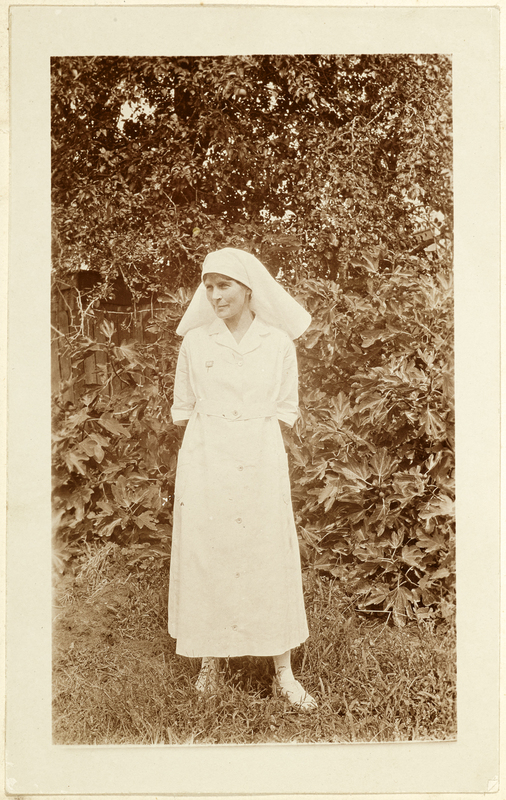 3 New Zealand General Hospital at Codford, England – again with her artist friends, Kitty Mair and Esther Barker. Beatrix Dobie (left) and friend Esther Barker at Codford, England. Private Collection. Kitty Mair, Beatrix Dobie, Esther Barker, an unknown woman, and Maud Wilder at Codford. Private Collection. Ellen and Beatrix returned home at the beginning of 1918 while Agatha worked for two years in France and returned in 1920 - like many of our soldiers. 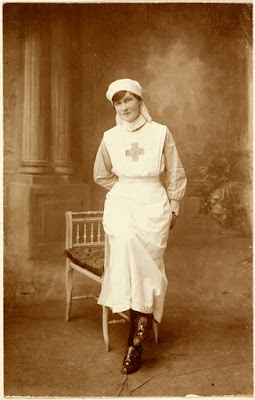 Agatha Dobie in nurse's uniform at Rouen. 1917. Sir George Grey Special Collections, 1342-Album-244-148-3. How many Auckland women worked in the war effort overseas is unknown – and can never be known for sure. But one thing is abundantly clear: their role has been massively under-reported in our history. Institutions such as Auckland Libraries and relatives of those who served, like Kate de Courcy, are playing a role in resurrecting the stories of these women. Jane Tolerton is the author of Make Her Praises Heard Afar: New Zealand women overseas in World War One, published by Booklovers Books, available from Potton & Burton. $59.99.